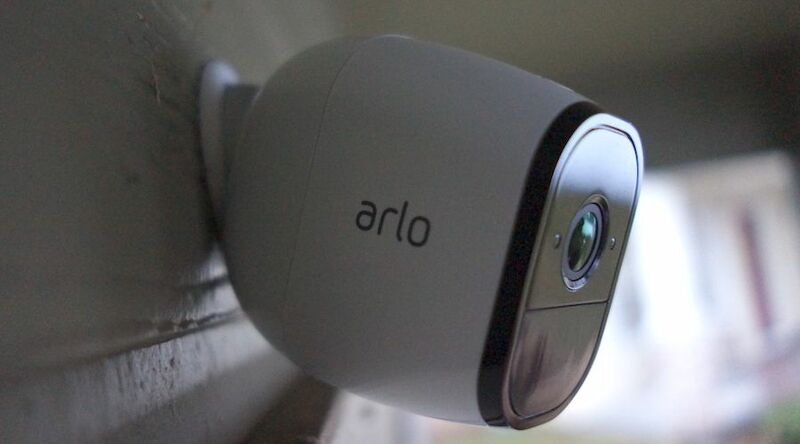 It’s no secret that Arlo security cameras are some of our favorites. They don’t require complex wiring: in fact, several versions don’t require any wiring at all, since they work on batteries. But if you’re wondering how long the average Arlo battery life lasts, the answer depends on which Arlo camera you are using and how it’s set up. Let’s check it out. Affiliate Disclosure: This page contains affiliate links, which earn us commission at no cost to you. The four Arlo security cameras that work on a battery without plugging into the wall are Arlo Wire-Free, Arlo Pro, Arlo Pro 2, and Arlo Go. They all vary in battery life and performance, so we will provide details on each. Below the different cameras, we also give some important tips provided by Arlo that will help you conserve your camera’s battery life. Summary Original Arlo cameras. Weakest battery life and features. Battery life lasts ~6 months in our testing. Battery life lasts ~6 months in our testing. 3G/4G camera that doesn't require WiFi, but drains battery faster. To get the most out of your battery, you’ll want to follow the battery optimization tips below. By setting your cameras to record longer videos or higher quality footage, you will drain the batteries sooner. Arlo Wire-Free is designed to work with 2 CR123 batteries. Four batteries are included per camera, giving you a little wiggle room in case the battery dies quickly. The included batteries are not rechargeable, so you’ll have to replace them after the extra set runs out. 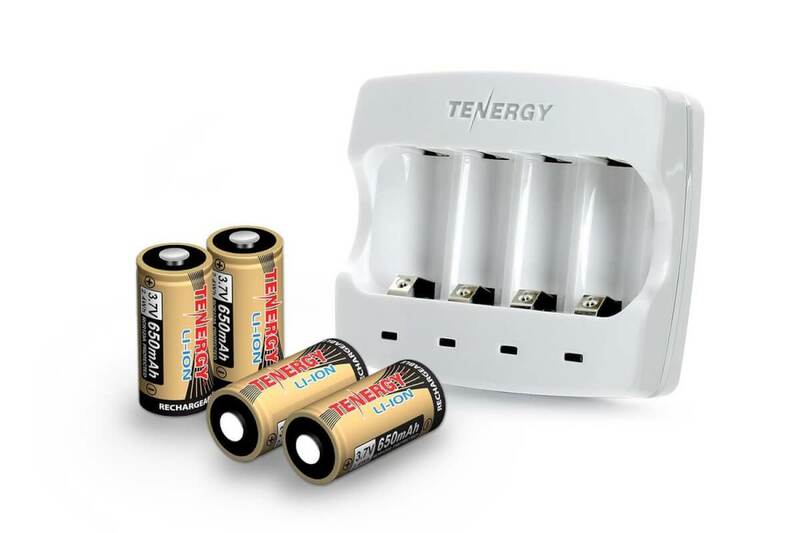 To save your cash, one option is to buy the rechargeable CR123 batteries by Tenergy, which come with a charger and 4 batteries. This is the best workaround option to make Arlo Wire-Free’s batteries more useable. Since it comes with four batteries, you could have your camera always working by keeping a set of batteries charged and the other set in your camera. It will also save you money in the long run, since you won’t be replacing the CR123 batteries all the time. Since Arlo Wire-Free is known for draining battery life, this could be a huge benefit. 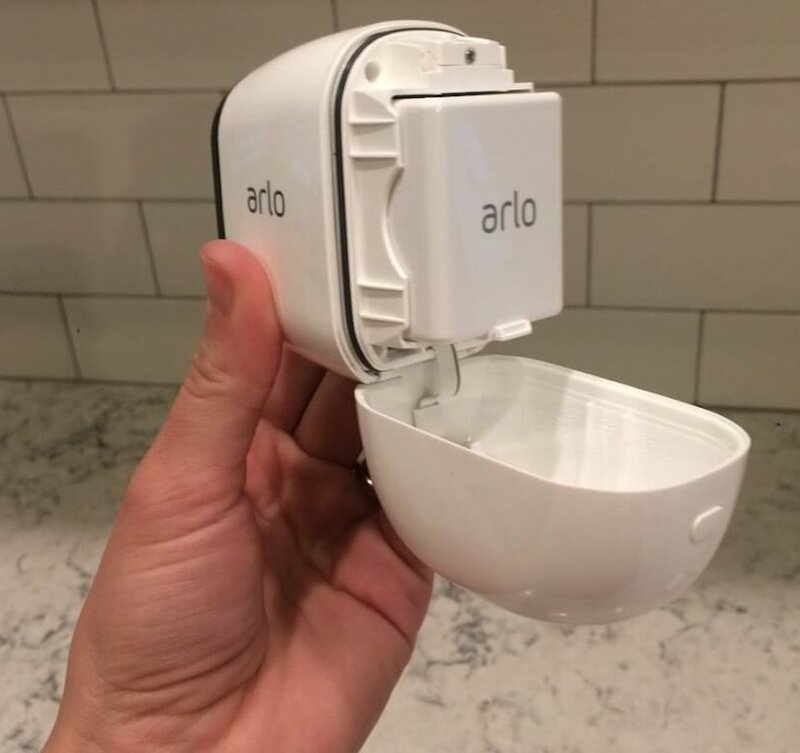 While Arlo lists the Arlo Pro’s battery life as equal to Arlo Wire-Free at 3-6 months, Arlo Pro actually does much better in testing and based on user reviews. 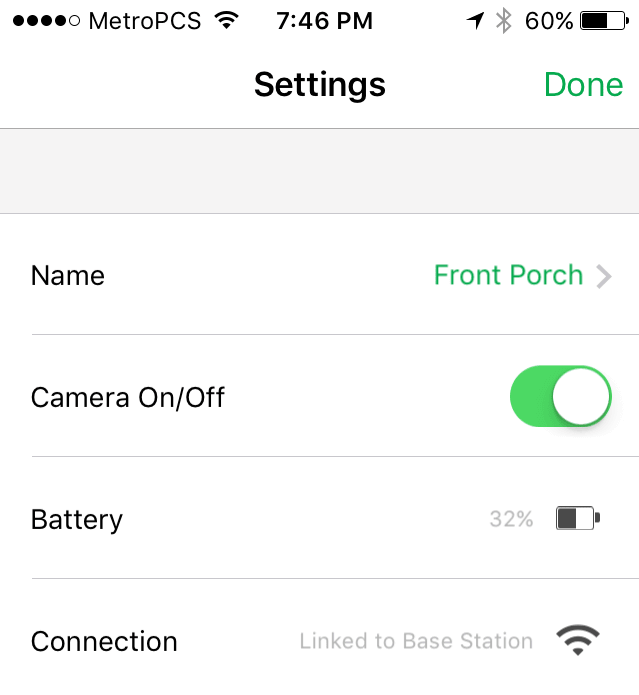 We’ve used Arlo Pro to monitor our front porch starting in January 2017. Even though it was set at a high sensitivity, endured cold Idaho temperatures, and was triggered often for movement, it still had 30%, and we are near the end of June 2017. For the sake of this Arlo Pro battery life review, I’d say six months is a solid estimate of how long the batteries last based on average usage. UPDATE 2018: We’ve been using Arlo Pro since early 2017, as mentioned. As of late August 2018, the cameras continue working as promised with no diminished battery life. We even moved homes, so we’ve been able to test the cameras with a different WiFi environment and setup. So far, the cameras are living up to their original estimates of 6 month battery life. Arlo Pro 2’s battery functions mostly the same. It requires outlet power for several features that would normally drain more battery life. Besides its upgraded 1080p footage, there aren’t additional features that will drain the battery more quickly than the Arlo Pro. In our testing, our Arlo Pro 2 cameras have lasted just as long as the Arlo Pros. 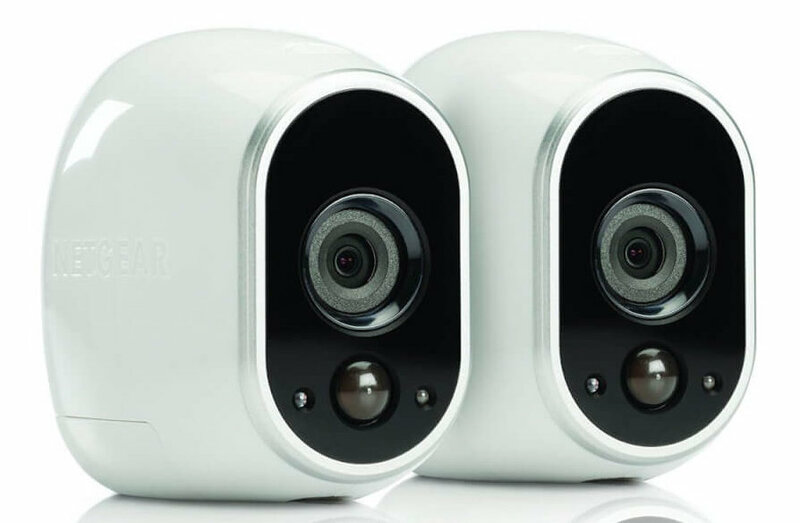 You can read more details in our Arlo Pro vs Arlo Pro 2 comparison. Once Arlo Pro or Arlo Pro 2 runs out of juice, you can simply plug in the camera’s power cable to recharge the camera. It’s a special quick charge, and I found that it went from 30% to fully charged in just over an hour. It will still function while plugged in, so if you would rather just keep it always plugged in and not worry about batteries then that is also an option. The other option is to purchase a charging station and extra battery. Then you can always have one battery charged and swap batteries whenever necessary. This will mean your camera will never be out of commission during charging. To remove the battery, press the button on the top of the camera, opening the hatch. You’ll then pop the battery out of place and slide it onto the charging station. Arlo Go is similar to Arlo Pro, but its big difference is that it offers 3G and 4G LTE through a mobile network plan. It’s ideal for monitoring areas that don’t have WiFi, like cabins. Since Arlo Go has the added feature of LTE, it may drain the battery if it’s installed in a place with weak signal. Arlo recommends installing Arlo Go where it can get at least 3 bars of LTE for optimal battery life performance. Even then, the battery won’t last as long as the other Arlo cameras due to its LTE functionality. Just like the Arlo Pro and Arlo Pro 2, you can recharge Arlo Go by plugging it in to the wall or using the charging dock. No matter which Arlo camera you use, the battery life will vary greatly based on a number of factors. This is why there are some negative reviews online about Arlo battery life issues, because performance really depends on how you set up and use the cameras. According to Arlo, there are a few things you can do to get the best battery life possible. Record shorter videos; 10 seconds is the default, and anything longer will drain battery life quickly. The shorter the video, the less battery you are using. Reduce the sensitivity. Arlo cameras have adjustable sensitivity. If you turn the sensitivity all the way up to 100%, you can expect to receive plenty of false alarms every time a tree branch moves in the wind. Of course, this will also drain the camera’s battery for recording. By turning down the sensitivity, you will reduce false alarms so you are only recording when there’s actually movement. Reduce the video quality to standard or low quality footage, not HD. Admittedly, this is a big thing to sacrifice. HD footage will help you identify faces much more easily. But if you don’t mind the lower quality footage, then reducing video quality saves your battery life. Select the power setting Optimized or Best Battery Life. Arlo cameras offer three different power setting options: Best Video, Optimized, or Best Battery Life. Best Video mode gives you the highest quality video possible, while Best Battery Life preserves your battery life. Optimized is the happy balance between both settings. Place cameras strategically. Install the camera no further than 300 feet from the base station to preserve battery life. Don’t put it near multiple routers. You will also want to install it in a well-lit location so it doesn’t need to use infrared as often. Avoid temperatures below freezing (32° F). The cameras are weatherproof, but the low temperatures drain the battery more quickly. If you can temporarily bring them indoors during freezing temperatures, it will help your camera batteries last longer. Access the live stream only when necessary. The more frequently that you load up your live feed or library of clips, the more battery you are using. If your camera isn’t plugged into power, it wouldn’t make sense to run the live stream for an extended amount of time. Keep Arlo running on the latest firmware. Keeping your cameras up-to-date ensures that they won’t drain the battery and are optimized with the latest software. 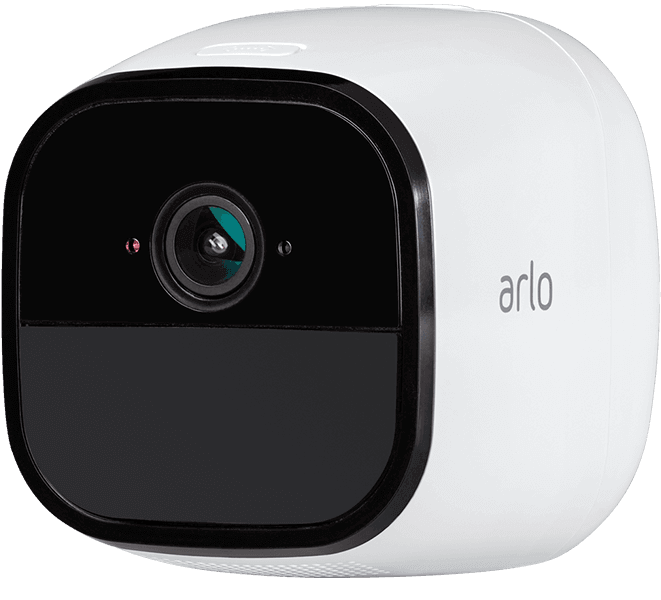 Arlo cameras should automatically update their firmware between 3 a.m. and 5 a.m. local time, but if you want to manually update the firmware, just go to Settings, My Devices, click on your device, then click Device Info, Firmware, and Update. Don’t disconnect your camera or remove the battery during the update. The battery life details listed for each camera above are for average use. When Arlo gives specs about battery life, they assume you are only recording 5 minutes of footage per day. If you have your cameras armed and recording significantly more footage, your battery life will likely be less than their estimates and you may experience Arlo battery life issues. 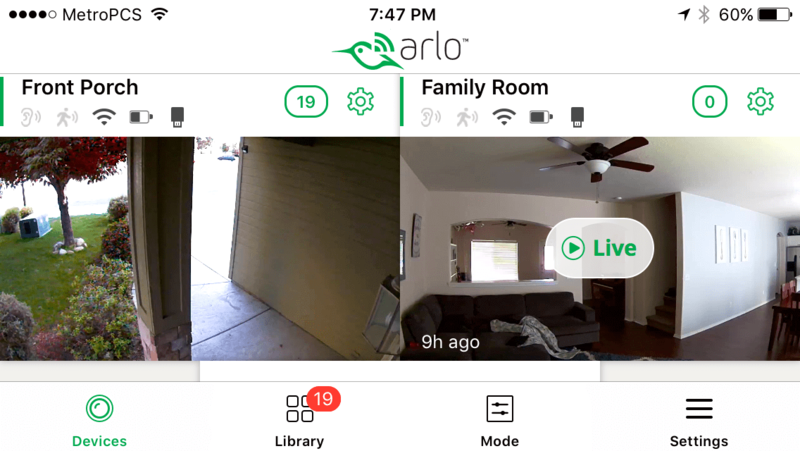 If you’re concerned about these cameras abruptly dying on you, remember that you can easily monitor your Arlo battery life within the app. It’s simple to see when the battery is running low and recharge or replace them before your next vacation. Once you’ve used them for awhile, it’s easier to estimate roughly how long the battery will last based on your home’s conditions. You should also get an email from alerts@arlo.com notifying you when the battery gets low enough. As long as you keep an eye on the battery life whenever you use your cameras, there shouldn’t be any surprises. In addition, Arlo Pro, Arlo Pro 2, and Arlo Go all work with a compatible solar panel so that you never have to stress about charging your cameras again. The solar panel is weather-resistant just like Arlo cameras. It only needs a few hours of direct sunlight for your Arlo cameras to stay charged, and comes with a 6 foot power cable, so it doesn’t have to be installed right next to your cameras. 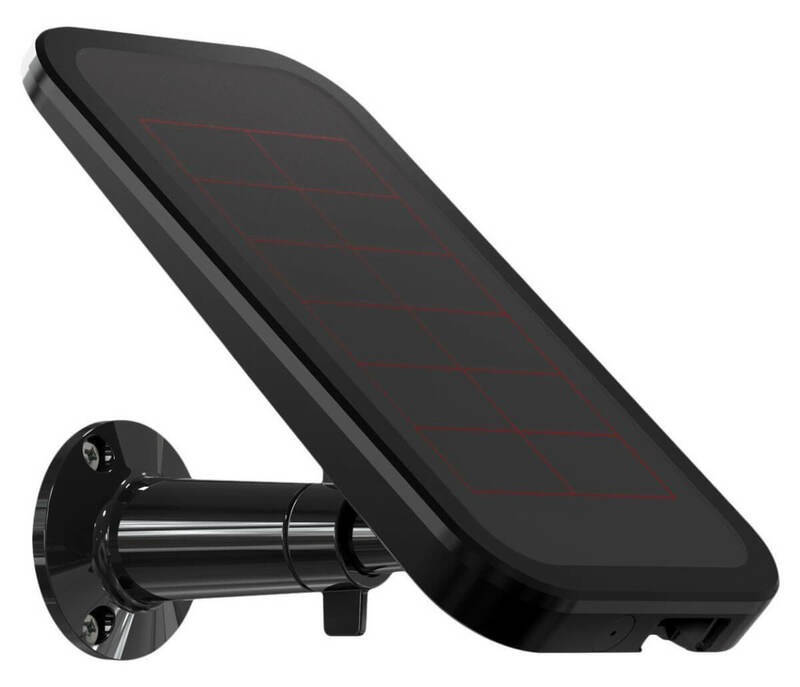 The solar panel also comes with a mounting kit and other installation tools to make it as easy as setting up your Arlo cameras (in other words: super easy). Another important thing to know is that Arlo Pro 2 won’t be able to use all of its features with the solar panel: 3-second look back, continuous video recording, and motion zones won’t work on the solar panel. So while the solar panel will keep your Arlo Pro 2 camera charged, it won’t add the additional upgrades that require the camera to be plugged into power. Overall, we’ve been impressed with Arlo battery life, especially on the Arlo Pro camera. There are some negative reviews on Amazon about Arlo battery life issues, but it’s likely due to factors like high sensitivity and resolution, recording long clips, triggering the camera more than 5 minutes per day, installing the cameras far from the router, etc. If you use the cameras carefully, you will likely have a positive experience and find that the battery lasts a long time. Even when it dies, as long as you have the Arlo Pro/Arlo Pro 2/Arlo Go, can quickly recharge the camera by plugging it into the wall. Arlo camera users: we are curious how long Arlo battery life lasts for you. Let us know your experiences with the different cameras in the comments below! 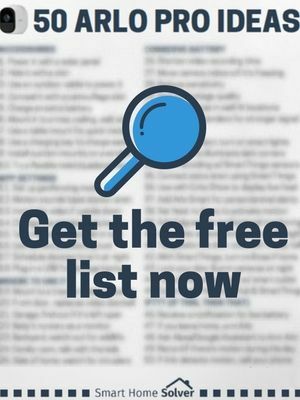 Side note: for Arlo Pro users, make sure you get your hands on our 50 Arlo Pro Ideas list to take your Arlo Pro to the next level. Please help me understand how you mean the term battery life. Your post makes it seem as though battery life means how long a battery lasts before it needs to be recharged. Arlo Support says it means how long a battery lasts before it dies completely. That is, no longer holds a charge. I’ve had two Arlo Pro 2 camera batteries that could not be recharged at all after way less than a year, one of them after about six months. At the current price of $48 for one battery, the cost of an Arlo Pro 2 system is ridiculously high. Sure, you could plug the cameras in, but that is not acceptable in a wireless system. Hi Eve thanks for your comment. Yes we use the term battery life for the Arlo cameras to describe how long before a battery needs to be recharged. Where on Arlo support does it say how long until the battery dies completely? If you could send a link that would be great. Sorry to hear your batteries didn’t last that long. We still have been using Arlo and haven’t run into any battery issues yet.